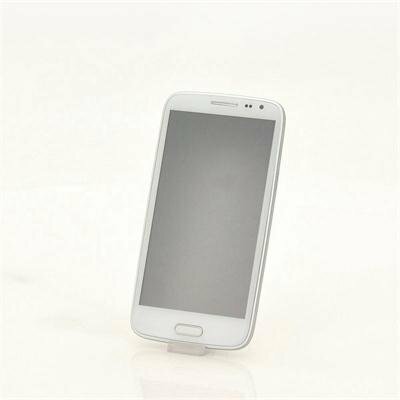 Successfully Added Android 4.2 Quad Core 5 Inch IPS HD Phone "Gladiator" - 3G, 720p, 320ppi, 8MP Rear Camera (White) to your Shopping Cart. Android 4.2 Quad Core 5 Inch IPS HD Phone with 3G, 720p, 320ppi and a striking 8MP Rear Camera lets you be prepared for anything. This is the “Gladiator”, an excellent phone that combines simplicity with a specification list to match any same category international branded phones on the market today. Not too small to watch videos on and not too big that it is a burden to carry, this phone with 1280x720 HD resolution offered via a 320ppi IPS (In-Plane Switching technology) stunning 5 inch screen. 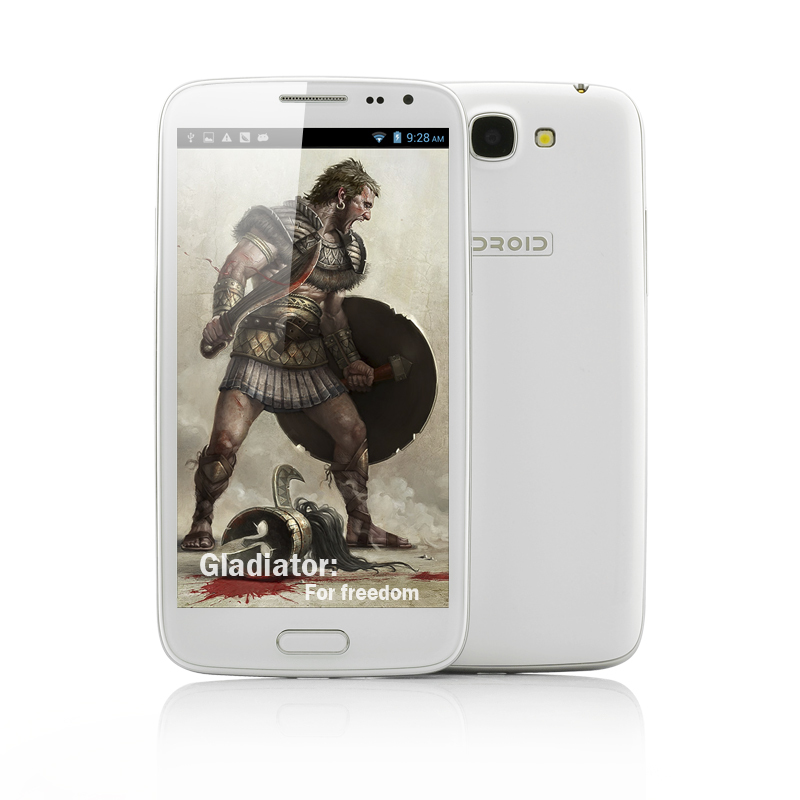 There is a quad core CPU that is the heart of the “Gladiator”, this allows the “Gladiator” Android phone to multi-task with ease and with little to no difficulty. Android 4.2 takes the quickness and straightforwardness of Jelly Bean to a different level making a totally new experience that’s beyond smart, a new form of typing that helps you power through your messages, and apps. Fully customize your phone via the Google Play store, and choose from over 700,000 apps. Take advantage of the 8 megapixel rear camera or the 3 megapixel from camera and save that photo on to the 4GB of internal memory or boost your phone with a micro SD card that can support up to 32GB. Due to Dual SIM, you can easily keep work and private life separated by switching between two numbers on one phone. Other features that the “Gladiator” has are GPS, Bluetooth for hands free calling and wireless music streaming, Wi-Fi, and 3G Tethering. Step out into the urban war front with this Android 4.2 “Gladiator” phone with a 5 inch 320ppi screen. This product is in stock and can be dispatched within 24 hours of ordering with a 12 month warranty. Brought to you by the leaders in wholesale electronics and android phones, Chinavasion.